EXCLUSIVE! 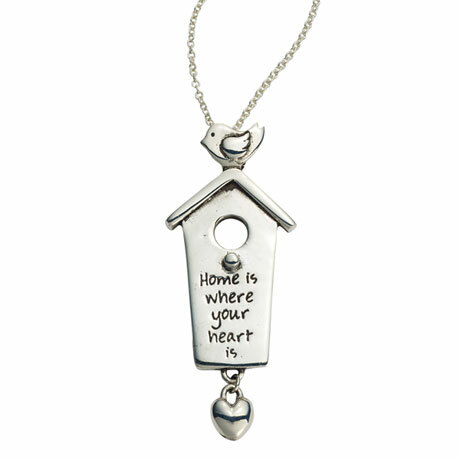 A bird perched on a birdhouse, a dangling heart below, and the absolutely true words "Home is where your heart is." Wear this because your home and family mean everything to you; give it to someone who's leaving home for new adventures. 1½" pendant on sterling chain that adjusts 16-20".